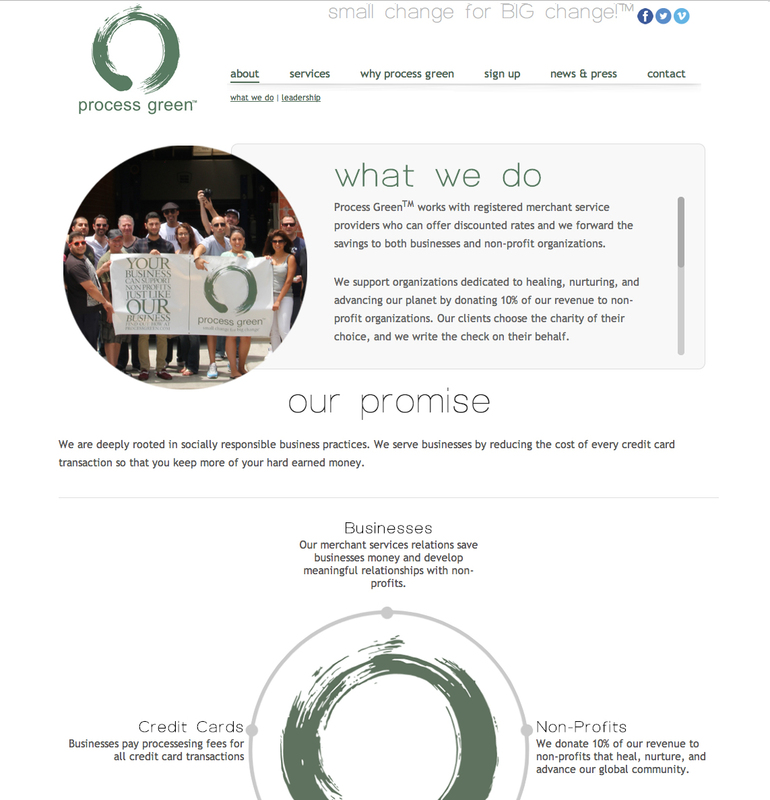 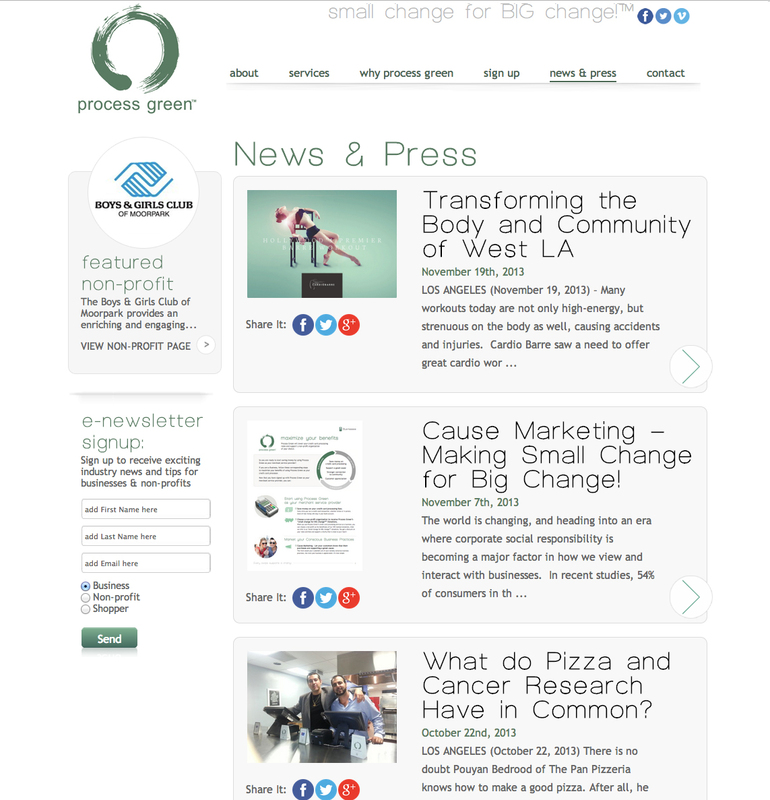 I was able to help the process green development team with the design on the new site. 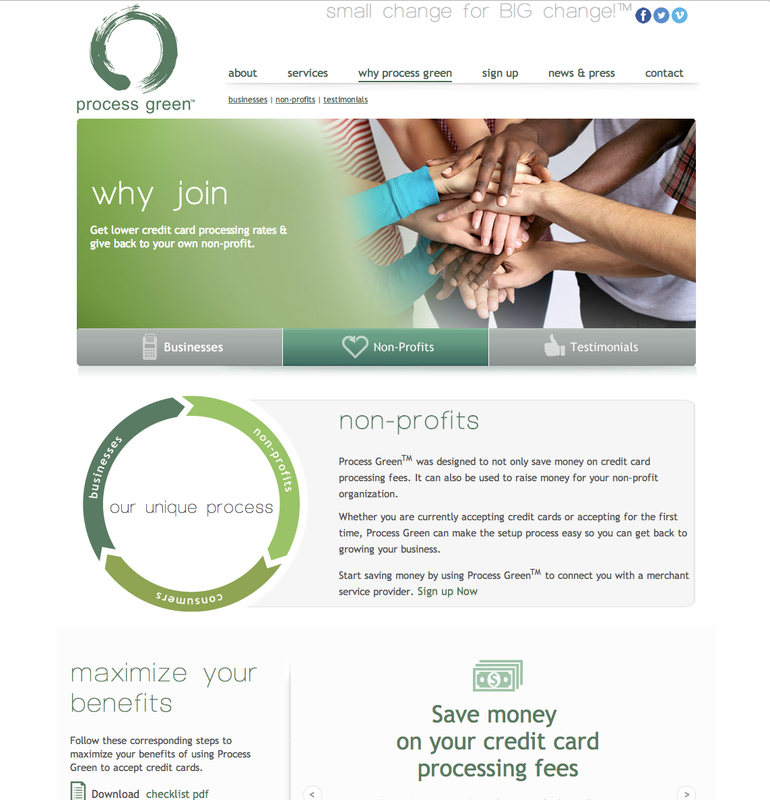 A fresh clean new look that showcases their products. 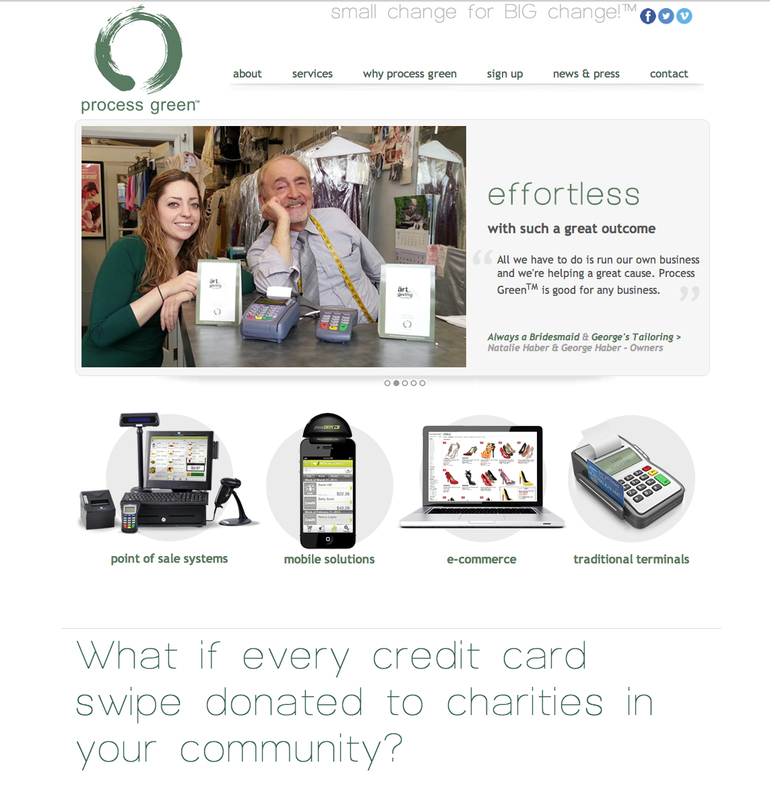 Those interested in credit card processing that benefits the charity of your choice should check them out!